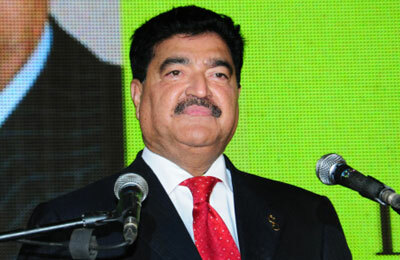 Goldman Sachs and Qatar National Bank (QNB) are arranging a $800 million loan to help Abu Dhabi-based entrepreneur B R Shetty acquire a majority stake in foreign exchange operator Travelex, he said on Tuesday. "The jumbo transaction has been finalised, we are happy with the terms," Bavaguthu Raghuram Shetty told Reuters, adding that the financing was expected to be completed by September or October. QNB declined to comment, while Goldman Sachs did not immediately respond to a request for comment. It said in May that Shetty and Abu Dhabi private equity house Centurion Investments would buy the firm from its shareholders including Chairman Lloyd Dorfman and Apax Partners. Indian billionaire Shetty, who owns money-transfer service UAE Exchange, said on Tuesday that the total value of the acquisition deal was about 800 million pounds ($1.34 billion). He said he would take a 91 percent stake in Travelex, and Centurion would own the remaining 9 percent. Travelex did not immediately respond to a request for comment.